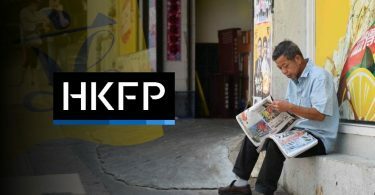 A Hong Kong newsmaker is chosen each month by HKFP. Click here to view previous nominees. Mr Doug Woodring is selected as HKFP’s Person of the Month for August 2016. 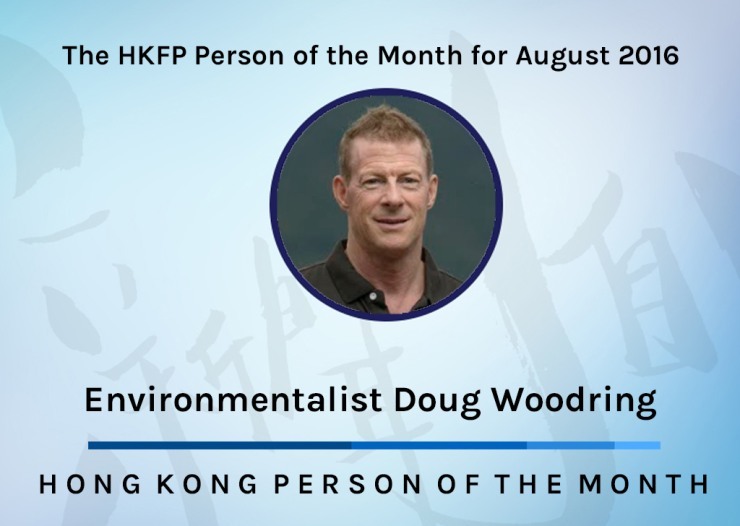 Environmentalist Doug Woodring is our Person of the Month, though this month’s award honours all Hongkongers who took to the city’s beaches to assist with clean-ups this summer. Woodring is the co-founder of the Ocean Recovery Alliance, which “is focused on bringing innovative solutions, technology, collaborations and policy together to impact positive improvements for the health of the ocean.” When an “unprecedented” amount of rubbish washed up along Hong Kong’s shorelines this summer, Woodring joined hundreds of other residents in raising awareness of the issue on social media by posting photos and urging the public to report trash hotspots on the Global Alert app. Trash was spotted at Cheung Sha Beach on Lantau, Ma Hang Park in Stanley, Cheung Chau, Aberdeen Harbour, and Discovery Bay. Over the weeks that followed, dozens of volunteers took to the city’s beaches and bays to clean up the rubbish. However, the beaches were quickly repopulated with trash despite the efforts. 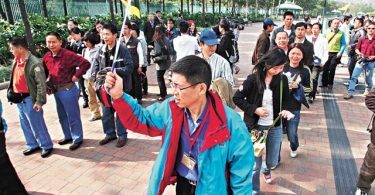 News of Hong Kong’s polluted waters even reached Japan, prompting Hiromasa Suzuki to come to Hong Kong with a net. 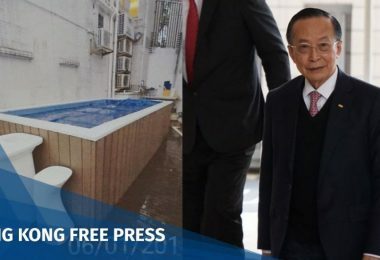 Suzuki said he received some help from Woodring, who took him around beaches on Hong Kong Island to witness the problem. Photo: Save Aberdeen Harbour Alliance 守護香港仔海港聯盟. 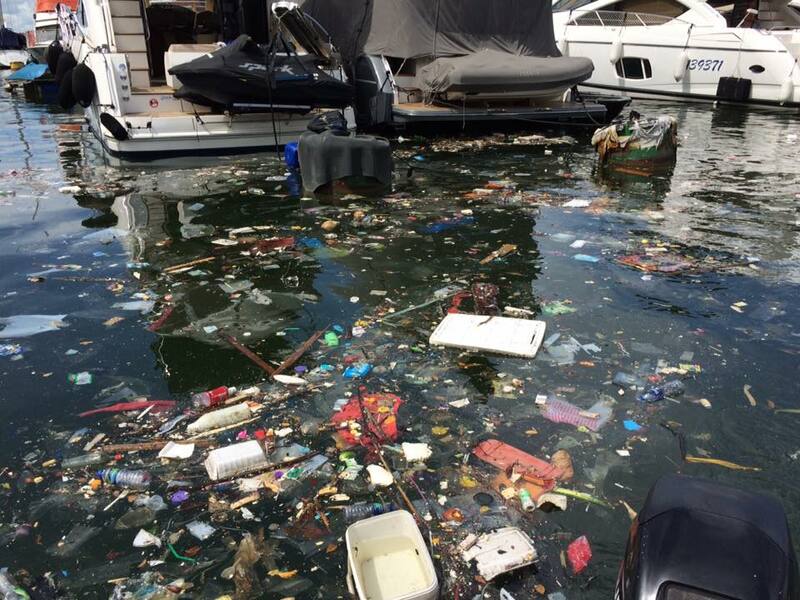 Save Aberdeen Harbour Alliance and Lamma Book Club are just some of the organisations that have organised cleanups in response, while Facebook group “Hong Kong Marine Lap Sap not Serious – says govt report” also keeps the public up to date on the situation of marine trash.